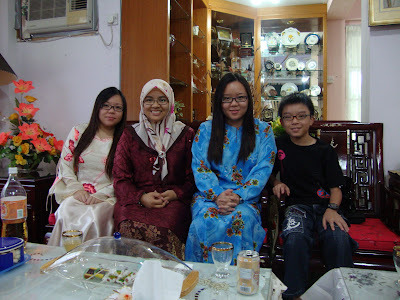 I finally visited some friends for this year’s raya. 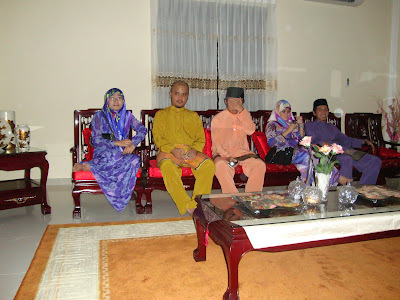 The very first house was Mijah’s. That was it for the first week actually. 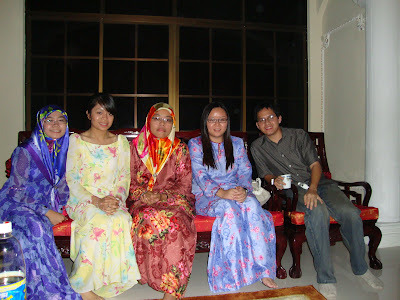 This one below is at Nina’s open house but the light you see here is from my flash. There was actually no power the moment we entered the house so we were in darkness for the most part. This was a bit of an experience for me because I drove. That means I get to show my friends how reckless I am at driving, and I hit someone’s trash can in the process. Let’s not get into the ugly part. The blackout wasn’t fun at all. I can barely see all the good food and it got hotter and hotter. Damn the power shutdown. My brother just bought the board game Cluedo Junior and I find it surprisingly confusing and hard even though the box says “Ages 3+”. I guess I’m just clueless when it comes to this game. 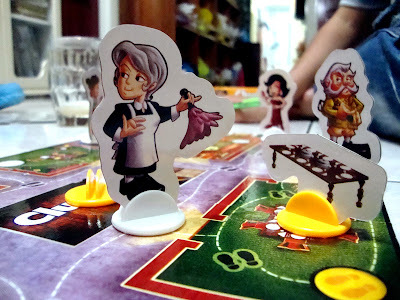 We never get to the end of the game because someone blurted out their own clue so it wasn’t as fun as expected. 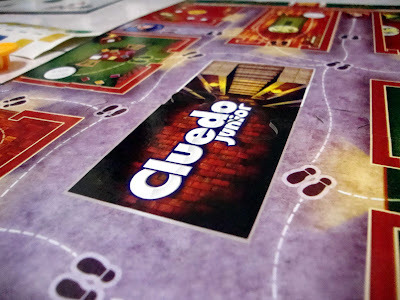 I have not even tried the REAL Cluedo yet. Don’t think I’m gonna touch that one for now. I’m sorry to anyone who invited me to their open house cause I admit I haven’t been to any houses at all this year, not even my relatives'. Don’t ask me why. I don’t want to make excuses. But I really hope everyone’s enjoying their days hosting or traveling from house to house. You gotta enjoy what’s left of your holiday! Lately, my laptop is part of my workstation so I find many beads underneath my key pads. So far, I’ve fished out four. I should really get a keypad protector to avoid those small beads from slipping through the gaps. Yes, my work involves beads. And I pricked my fingers many a times today. 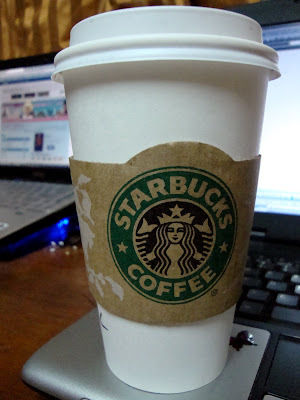 But thanks to the sofa and soft pillow, working has been relatively comfortable. The demand for work hour is unfortunately high so all day I have been sitting in the same spot doing the same repetitive work. I would like to call it a work of art, if I may. 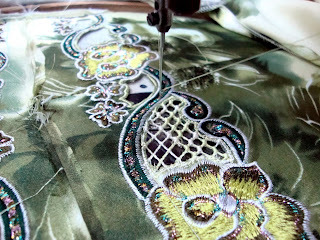 For want of a more professional word, it would be embroidery. 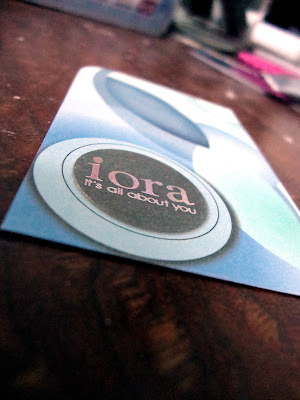 I found this IORA name card on my sister’s desk and I thought the design is really pretty so I took a picture of it. A name card is like the first impression of a company or a person. If a name card is plain, expect a really boring firm or sales representative. On the other hand, if you see evidence of the efforts involved in designing the card, you can expect the card owner to be a creative person running a company that merit in presentation and style. The match just ended. Now I think is the prize ceremony. I just caught the live score on the site's Slam Tracker because I have no TV here at the hostel. I was practically cursing all through. I didn't watch from the beginning of course. That was like 4am so I watched halfway through. Bottom line is no 6th US Open Grand Slam for Federer. And as much as I don't support Del Potro, he deserves the credit at least cause it's his first Slam final and he managed to grab the title. That much I respect. Other than that, he's too tall. He should be playing basketball, not tennis. I still wish it was Nadal on the other side of the net instead of DelBoy. That would be an epic match don't you think? Two of my favourite players are on the top half of the draw so I really don’t know who I want to see in the final. But on the bottom half, obviously most people will be supporting Rafael Nadal. Who wouldn’t want to see a player completing his career Grand Slam? And who wouldn’t want another Roger-Rafa final? Del Potro is the only player I DON’T want to see in the final. Don’t ask me why. I’m just biased that way. It’s gonna be a tough match between Federer and Djokovic! I used to be curious about why the acoustic guitar has a big hole in the middle and what’s in the hole. So I would throw stuff inside my mum’s old guitar, turn it around and shake the things out. And my mum used to hang the guitar on the wall so I would swing it like a pendulum until the guitar is scarred in curve marks at the back. It was a total abuse on my part but I didn’t know better. If anyone is caught doing that to my guitar, I would kill them! I never really like my mum’s guitar though. It’s not comfortable on the grip and the tuning pegs seriously need oiling. Each time I try to tune it, I feel like the strings are on the verge of snapping. So the whole process of tuning is torturous for me as if I’m the one being stretched. In the sound hole, you can see the guitar’s detail. 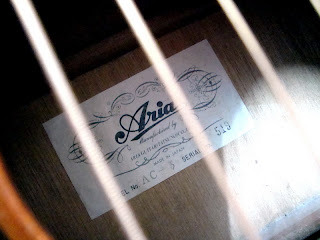 Above is an Aria which was made in Japan. This is mum’s old guitar. It doesn’t have a pick guard so it’s purely a classical guitar. Below is an acoustic guitar manufactured in Indonesia. This guitar is good for pretty much anything acoustic. 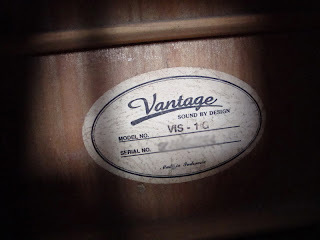 It is also my regular guitar. However, I found a guitar recently that I have come to love, although it’s not mine. 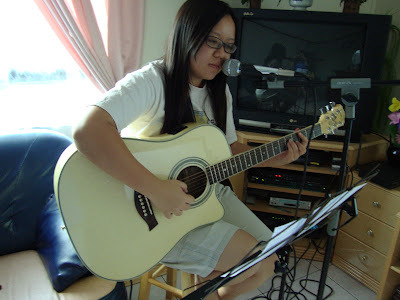 Below is a J&D from Taiwan and is sort of a semi-acoustic, which is just an acoustic with built-in pickups. Why I like the guitar so much? Its body is composed mainly of maple wood and is slender in design. Plus when plugged, and bass and treble adjusted, it’s just melody to the ear. 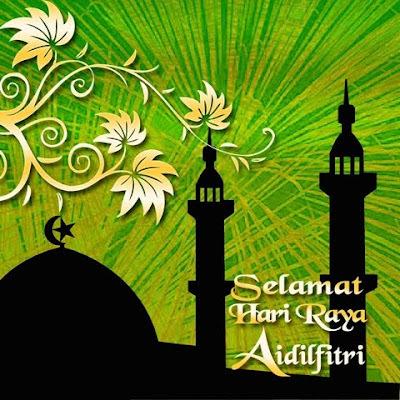 Raya is very much around the corner so raya rush is very common these days, be it preparing food and cakes or making raya clothes. I'm pretty sure dressmakers are very busy these days. Yes, I am sure. I never undersand the process of making a dress. Many people ask me but I have no clue. US Open is taking place now in Queens, New York. If you’re interested, you can watch the live score using the Slam Tracker at the official page www.usopen.org. Well, for me, I am looking at the Slam Tracker while watching the live match on TV. I don’t know why I look at the Slam Tracker when I can see every point on TV. Unnecessary really. I wanted to start this post about Tsonga's hair but I lose interest halfway through. Yes, Nadal sports a shorter hairdo while Tsonga looks like he's wearing a wig. Not that it's gonna affect their game. Just want to point it out. I haven’t been able to go online these days but here I am again. I remember a few years back when I barely go online at all. Like maybe once in a fortnight. Now, every few hours I find myself either on Facebook, Twitter or some other social sites. If you still speak of Friendster, then you must still be living five years back. But maybe five years from now, Facebook will be an old fashioned word too. Who knows what’s gonna be the next social thing on the net right? We simply move on from site to site. I am still wondering how long I am going to keep this blog rolling. 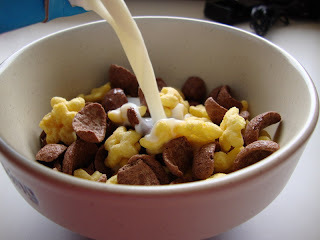 But anyways, moving on, these days my breakfast is served cold. First of all, I am lazy to go downstairs to order and second, I am lazy to cook. And I am also always in a rush so I don’t have time to prepare the food. But then I am starting to enjoy the cold breakfast because it keeps me wide awake in the morning, except Monday of course. I am yet to start reading my lecture notes and attempting the tutorials but I find them the hardest tasks on my to-do list. 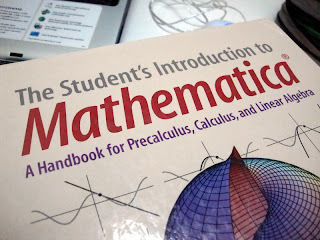 It’s so easy to borrow academic books from the library but it’s so hard to read them. One second I find myself staring guiltily at the pile of books I borrowed and the next I find myself watching a movie on my laptop, books forgotten.